Bohemian Stripe Shower Curtain Just $17.49! Down From $48! You are here: Home / Great Deals / Amazon Deals / Bohemian Stripe Shower Curtain Just $17.49! Down From $48! Don’t miss this deal from Amazon! 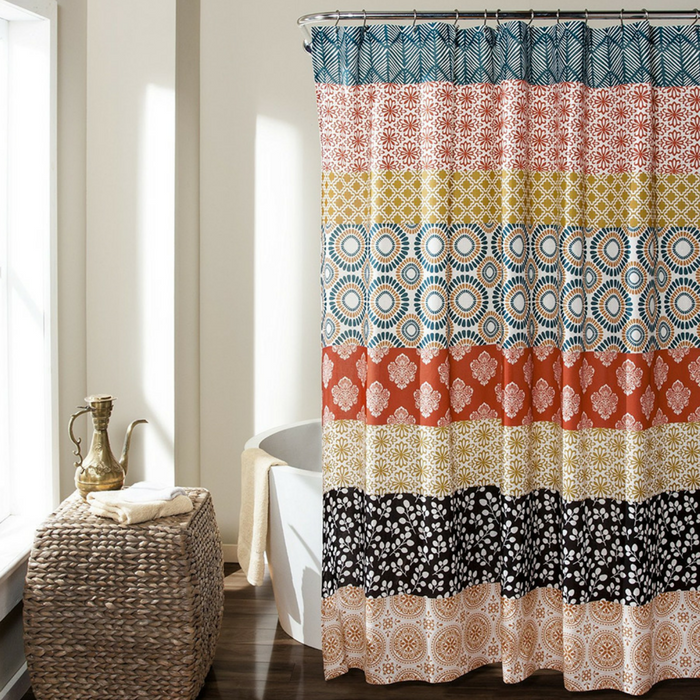 Get this Lush Decor Bohemian Stripe Shower Curtain for just $17.49 when you apply the extra $0.55 extra savings coupon located below the price, down from $48.00, PLUS FREE shipping with Amazon Prime for orders $25 or more! With the feeling of a rainbow, this Lush Decor Bohemian Stripe Shower Curtain brings you aesthetic patterns and countless colors in each of its many arcs. From serene floral designs to twirling patterns, this pattern truly has a story to tell. Taking a shower is never this colorful and as fun! Machine Wash Cold In a Laundry Mesh Bag, With Similar Colors, Gentle Cycle.